Picture the scene, you come around the corner, you dog has a gym sock in their mouth. Before you can draw breath to say “drop it”, woosh, the sock is swallowed whole. Uh oh. Now what? It seems to be an unwritten law that dogs sprung with something they shouldn’t have in their mouth can swallow faster than the speed of light. I have heard this story a million times over, and since Charlie came onto the scene I’ve experienced it a number of times too. For many pet owners this with either cue a knowing sense of dread and for others it won’t even be a blip on the radar. How do you know what is the right response? The answer, it depends. It depends on what they have swallowed, how long ago they have swallowed it and the pet’s specific history. 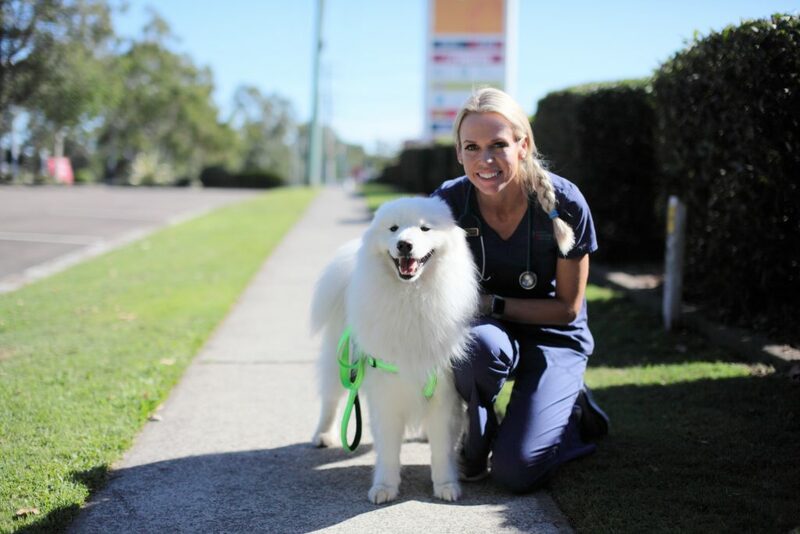 Dr Alex Hynes is an emergency veterinarian and a director of Animal Emergency Services in Queensland. 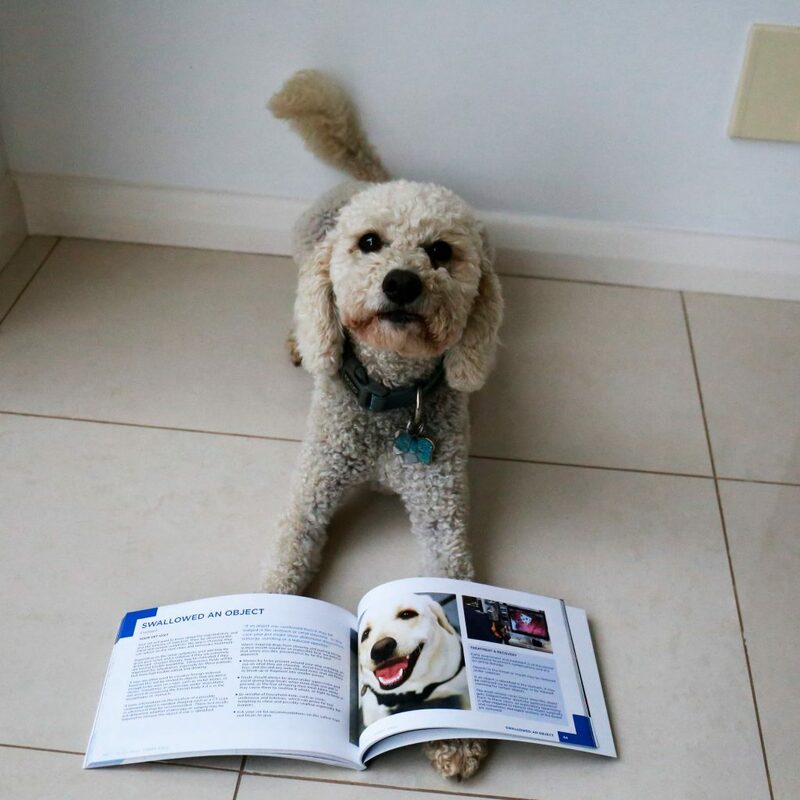 It has been her mission to help educate pet owners on common pet emergencies and hopefully even prevent pet health disasters for those who read her book. I have always admired Alex’s ability to grow an audience and then utilise her profile to better the lives of as many pets as she can. First Call for Dogs is the brain child of Dr Alex. She has dedicated her life to educating pet owners and advancing the area of emergency and critical care in veterinary medicine, so that any sick and injured animal can have the best care they deserve at any time of day or night. Her book provides an easy to read overview of how to deal with and prevent the common emergencies that her patients experience. Now, what do you do if your pet swallows something they shouldn’t have? Well, you should NEVER try to induce vomiting at home despite how many times you read it on the internet. That is a terrible idea! If you pet has something lodged in their mouth or oesophagus, is in obvious distress or choking you need to get them to the vet as soon as possible! Only try to remove objects from their mouth if it is safe. If you saw your pet swallow an object call your vet immediately for advice. Sometimes if the object is small and soft enough and not much time has passed we may be able to remove it using a variety of different methods including safely inducing vomiting or even endoscopy. Leaving it and hoping it will be ok could become a recipe for disaster with the swallowed object becoming lodged in either the stomach or the small intestine. 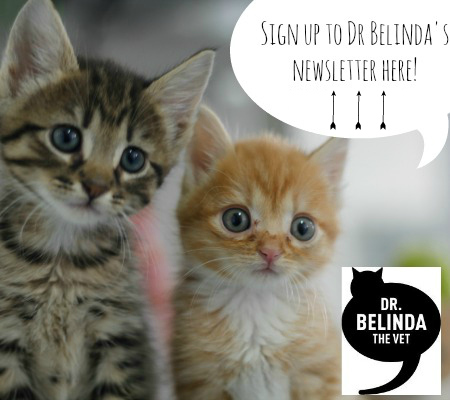 If you pet has swallowed something, you haven’t sought veterinary advice and then your pet goes off their food or develops vomiting you will need an urgent trip to the vet as intestinal blockages can quickly progress to become life threatening. 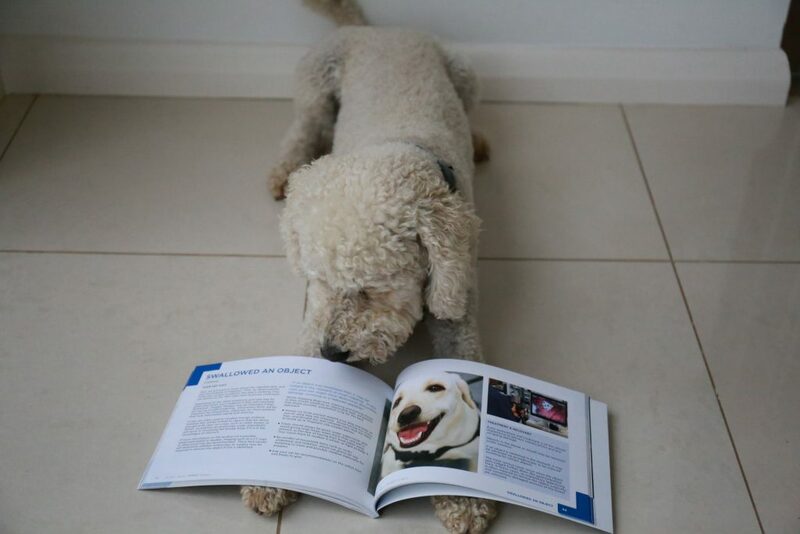 "Yum... this book looks tasty!" Charlie don't even think about it!